TWIN PINES FARM DAIRY Detroit photo picture art print photograph for sale. 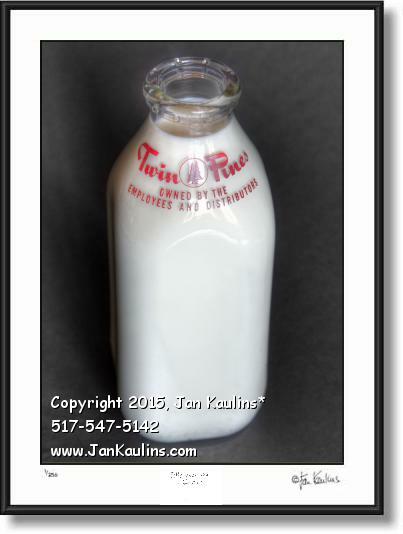 This TWIN PINES DAIRY antique glass milk bottle photo print art picture for sale is a wonderful iconic image of the TWIN PINES DAIRY that flourish in Detroit for many years. Many Detroiters have fond memories of these glass bottles being delivered to their door by the independent operator of their TWIN PINES FARM DAIRY delivery truck. This is a wonderful piece of Detroit nostalgia and makes a unique TWIN PINES photo picture art print for sale display piece for your home or office.